Interested in a career in the arts? 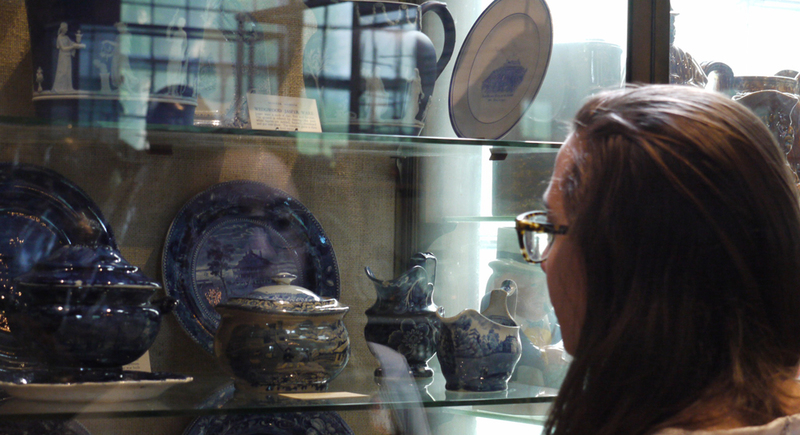 The Mount Holyoke College Art Museum is your on-campus resource. We offer paid student positions as gallery receptionists and interns throughout the academic year and summer. The Almara History in Museums J-Term Internship is an additional opportunity available through the History Department, in which an MHC student spends January conducting original research on a collection within the Art and/or Skinner Museums. Receptionist positions and internship opportunities in museum education, curatorial, and collections management are posted through JobX in April and November. Volunteer opportunities and independent studies with faculty sponsorship are also considered on a case-by-case basis. If you are interested in working at the Art Museum, we encourage you to reach out to Museum staff to learn more. For those interested in pursuing museum careers, Mount Holyoke’s network of alumnae can be an invaluable resource. The Museum collaborates with other arts departments on campus and the Career Development Center each year to organize Crafting a Life in the Arts, a career event featuring guest alumnae panelists working in a variety of arts-related professions.